Fans of the show Family Guy are in for a special treat thanks to IGT. Some even say “Freaking’ Sweet, I can gamble in my underwear” when playing this game. Of course, as you’d expect this slot is filled with dark humor. But also it has many big win potentials since it has so many game features that we’ll describe below. If you wanted to give this slot a spin, keep on reading this page. We’ve listed all the casinos that offer it in New Jersey. Additionally, we’d also advise you to read our casino reviews to know everything before you sign-up with one! Min - Max Bet: 50 coins (coins denomination varies from casino to casino). click bonus game and extra wild symbols. Best-paying Symbol: Family Guy game logo, 5 -of-a-kind= 500 coins. Available to play at: Golden Nugget Casino, Pala Casino, Resorts Online Casino, Betfair Casino, Caesars casino, and Borgata Casino. How to trigger the bonus features of Family Guy video slot? To summarize the bonuses is no easy task since they’re many! In fact, you’ll be happy to know that they’re 3 random features in the base game, 2 pick and click games and Free Spins too. First, let’s look at the random features. There’s Peter’s which triggers a multiplier. Stewie’s which triggers wild reels. Finally, there’s Lois bonus feature which triggers an instant win for each family members that appear on the reels. In addition, players who land 3 bonus symbols can trigger any of the following games. First, there’s the Drunken Clam feature. To summarize it, it’s a pick and click drinking game with multipliers. Second, there’s the Chicken Fight bonus feature. In essence, it’s a boxing match where every point you make gives you a pick at a money bag. Finally, there’s Lois’ 10 Free Spins with extra wilds that are re-triggerable. 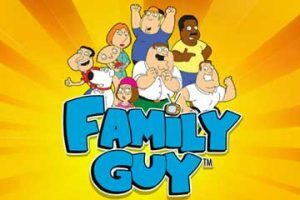 Why should you play Family Guy video slot? Generally speaking, there’s never a dull moment when you play Family Guy. In fact, there are so many features that players can activate that it keeps you on the edge of your seat at all time. Of course, if you like dark humor it’s the right game for you. Not to mention, that Family Guy is a great go to game for high rollers, since some casinos allow players to place bets up to $150 a spin. Finally, you’ll love to know that many online casino NJ offers this game. Also, our team has already negotiated an exclusive bonus with Betfair that will give you $30 for free when you create a new account and use the bonus code PLAY30. Alternatively, if you’ve already claimed Betfair’s bonus, read our free money section for more useful bonus codes.